Dallas Beeler is what you would call a prototype borderline Major League Baseball pitcher. He doesn’t possess a blazing fastball like Aroldis Chapman, nor a devastating slider like Andrew Miller. He wasn’t even highly scouted coming out of high school or college but was drafted twice in the late rounds, where most MLB teams are looking for roster fillers. What Beeler does have is the dream and the determination — plus the smarts to do what he can to overcome obstacles. Beeler entered 2016 with hopes of earning a major-league job with the Cubs, who had high expectations after losing one step shy of the World Series the previous season. But during spring training, Beeler’s right shoulder flared up and derailed that shot. He was placed on the 15-day disabled list on April 3 and stayed behind in Arizona to rehab the shoulder. It was the previous season when Beeler first saw the PER 2000, a machine from Pulsed Energy Technologies that helps recover from injury faster. The Cubs had a machine and he saw a teammate using one for rehab and decided to take one for a test drive. He remembered the PER 2000 when his injury hit, but since this was the end of spring training, the machine was taken with the Cubs back to Chicago. Beeler got in contact with Pulsed Energy Technologies, and eventually took the plunge and bought a machine for himself. “I try and stay on top of my medical treatments and everything like that, what’s out there,” Beeler said. And why did he feel strongly about the PER 2000? Which got him back to a throwing program sooner and back on the mound quicker. Since Beeler was on the major-league disabled list, the Cubs eventually sent Beeler to Triple-A for a rehab assignment two months to the day he was put on the disabled list. At Triple-A, Beeler brought the machine with him and other players became interested in the pulsed electromagnetic field technology. Many reacted like they had just found the Fountain of Youth. “You put it on baseball player’s shoulder and see those eyes light up,” said Beeler, noting that players would also use it on their knees, backs, necks and legs for any variety of aches, pains or injuries. The Cubs limited Beeler’s game action to basically an inning of relief. While he was rehabbing from right shoulder inflammation, he did develop tenderness in his elbow. It wasn’t anything to sideline him, but still a spot to be concerned about, especially because of the Tommy John surgery he had in 2009. But in his eighth game — and the third appearance in five days — Beeler’s season came to an end due to the flexor tendon injury, which required season-ending surgery. “Surprisingly, the day I hurt it, when I knew it was no good, that was like the best I felt in over a year,” Beeler said. Typical recovery time is six to nine months, which could have put his readiness for spring training in jeopardy had he not resumed PER 2000 sessions. “It was one of those things that I look back on and wonder if I had it the whole time if it would have prevented the injury,” said Beeler, who at some point in his comeback from the shoulder injury in spring training halted PER 2000 sessions. Like untold numbers of other players — particularly those in the minors, but also some in the majors — Beeler didn’t go home to rehab. Instead, he has spent countless days and weeks at the Cubs’ complex in Arizona, where he can be under the watchful eye of team medical personnel. “I’ve been using it damn near every day in Arizona,” Beeler said. Without using the PER 2000, Beeler would be doing what a lot of other pitchers do on a regular basis. “I think it would be more of me trying to pitch with soreness, maybe trying to subconsciously try to hide something, because that’s what a lot of guys are always trying to do,” he said. Other than taking a couple of weeks off around Christmas and New Year’s — when the complex basically shuts down — Beeler is spending his time away from home in hopes of regaining his standing in the Cubs’ organization and again stepping on a major-league mound. 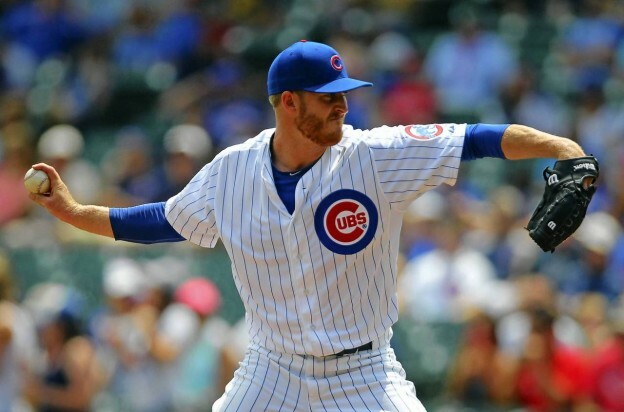 That path became steeper when the Cubs removed Beeler from the 40-man roster, a move he expected due to his injuries but one that further increases his drive to return. “You only get one arm, you only get one life and a baseball career is only so long, everybody has got their window, so it’s one of those things where I want to get back and get going,” Beeler said.